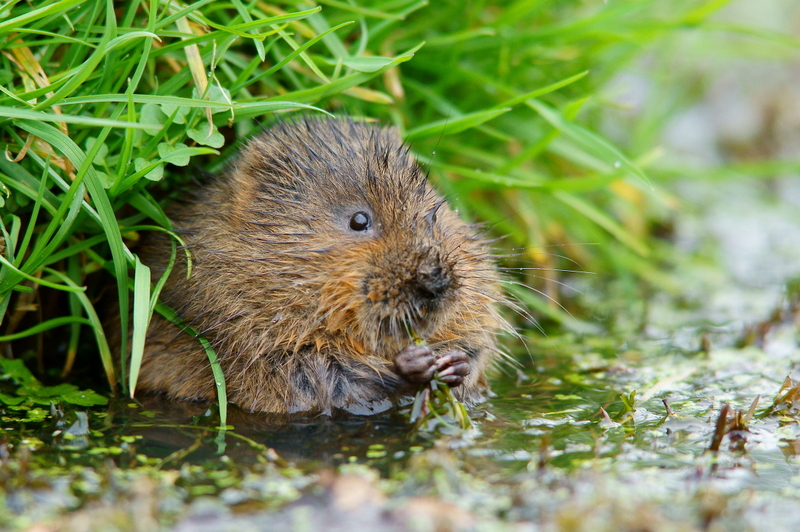 Water Voles on the increase on the Middle Level – learn how to spot them..
A latest survey (2015 results) by the Wildlife Trust for Bedfordshire, Cambridgeshire and Northamptonshire of water voles on the Middle Level has found them in very encouraging numbers in the Middle Level of the Fens. 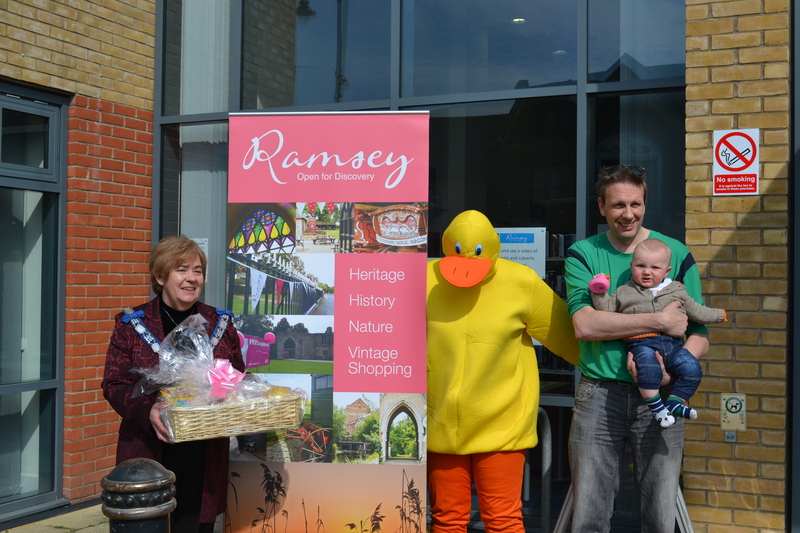 Sunday 3 April saw duck racing and free vintage bus rides in Ramsey. 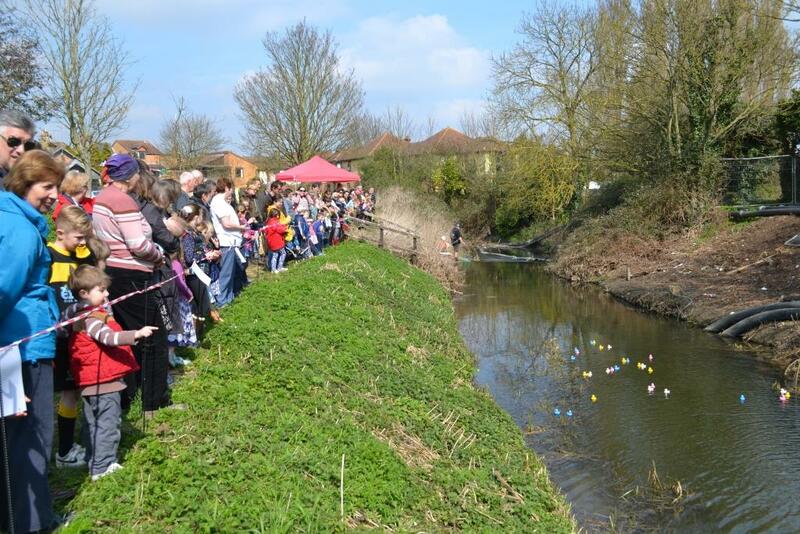 As well as being fun the duck races aimed to inspire local residents to access and enjoy their local river and establish a group of local volunteers interested in improving their local environment. 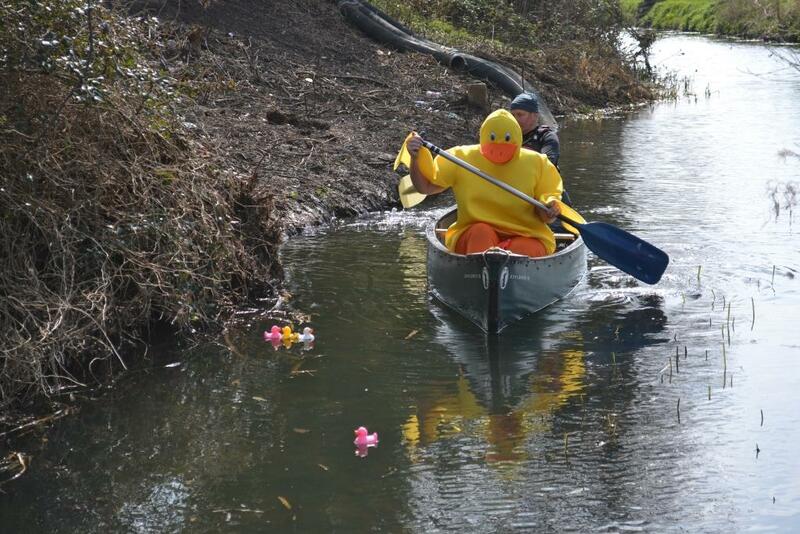 There were seven races in all with a final which was won by “Tallulah” a speedy pink duck. 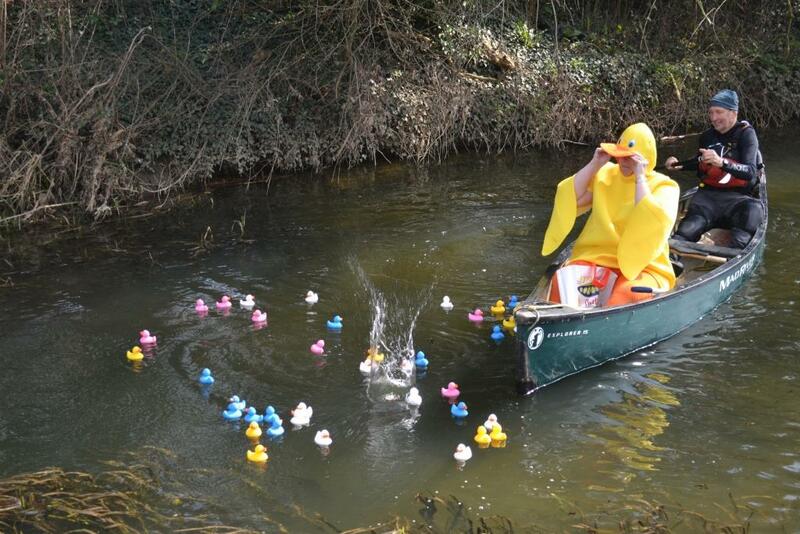 There was also a prize for the best named duck – “Cheese and Quackers”. The winner , the Mayor and a large duck. 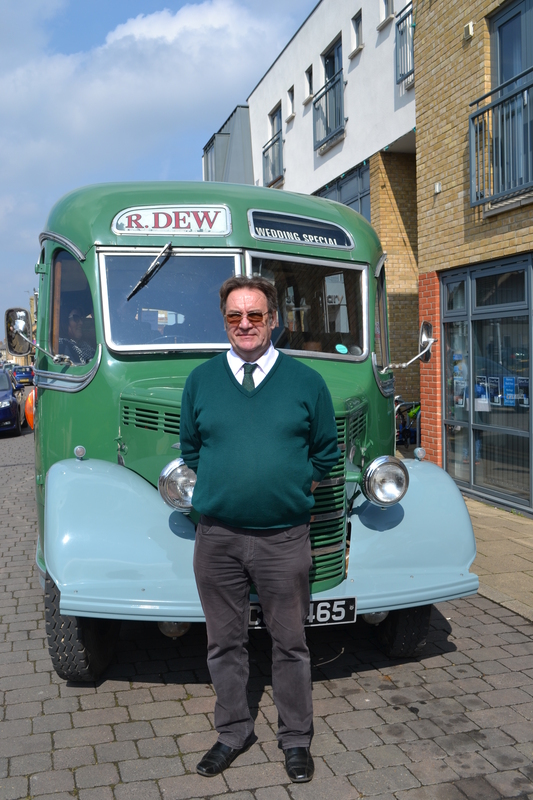 A free vintage bus ride was available to take locals on a “Weird and Wonderful Waterways tour” as well as drop off points at the towns many heritage sites of interest. 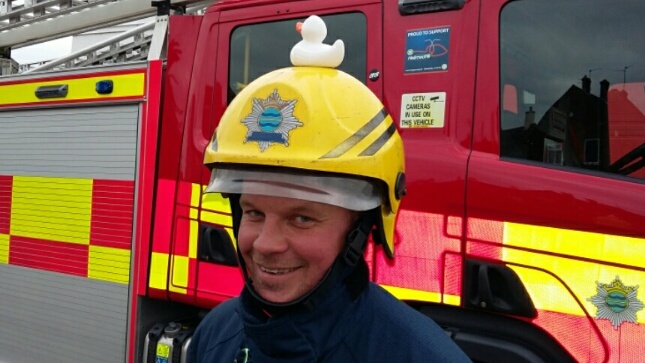 The Fire Crew from Ramsey were at the library with their fire engine giving out water safety messages along with Rivercare and Anglian Water who were encouraging residents to take care of their rivers and drains. 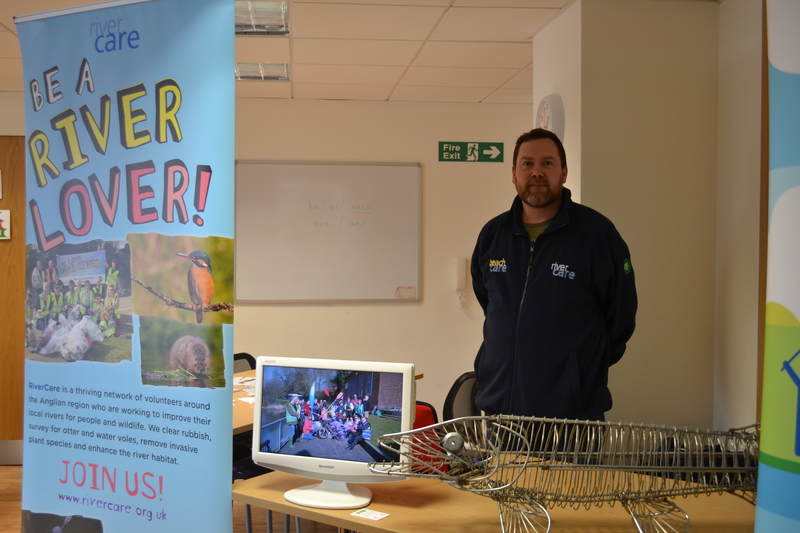 The day was a great success with over 300 people taking part and 48 people expressing an interest in volunteering to help improve their local river. The beautiful weather helped as did the involvement of volunteers on the day who assisted with safety, racing the ducks and signing people up for races. 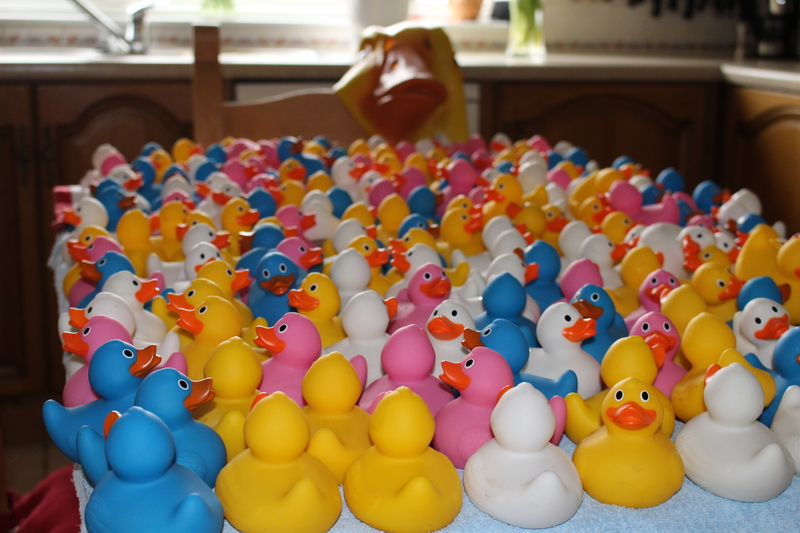 Tired (but clean) ducks – donated to Ramsey Town for further duck racing adventures in years to come. 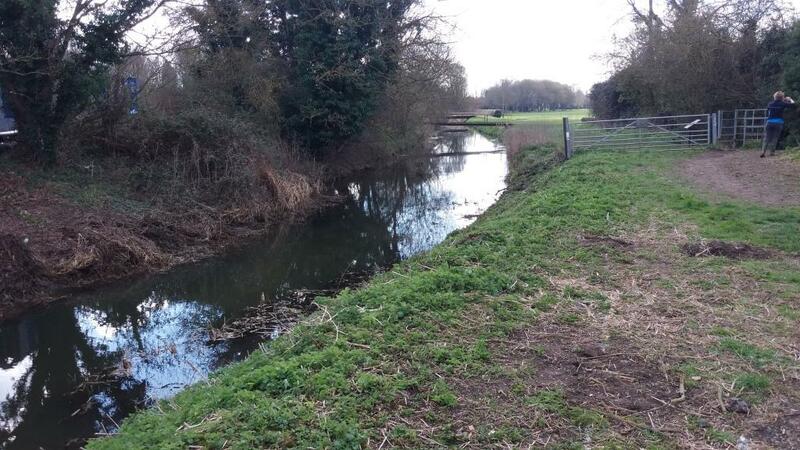 Ramsey volunteers, Fiona from Rivercare and Rachael from Cambridgeshire ACRE had a go at tidying up the river bank by the side of Bury Brook on 31 March. 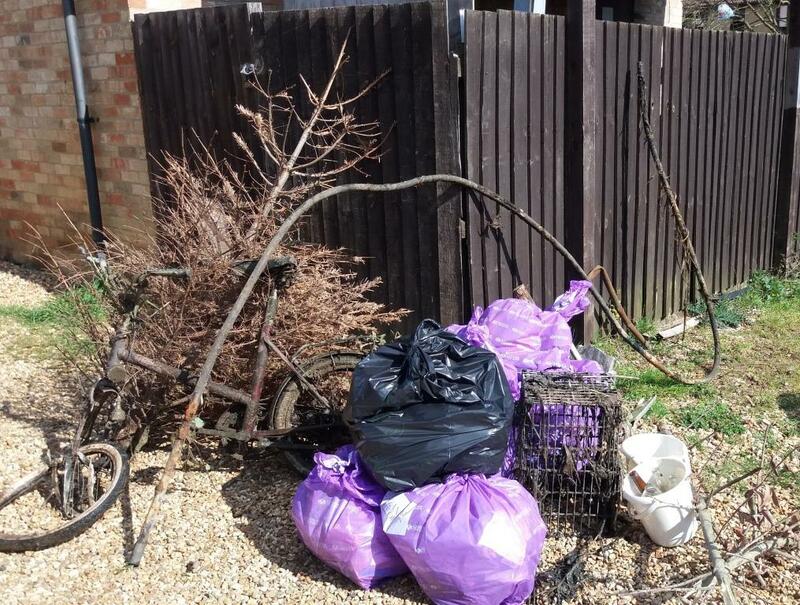 There was quite a haul: eight bags of litter and some very interesting (!) 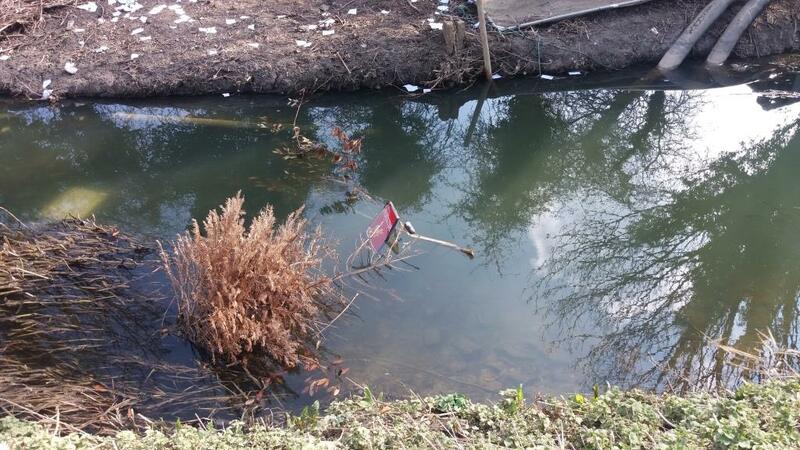 pieces hauled out of the Brook including a Christmas tree, an unidentified trap and a bike. 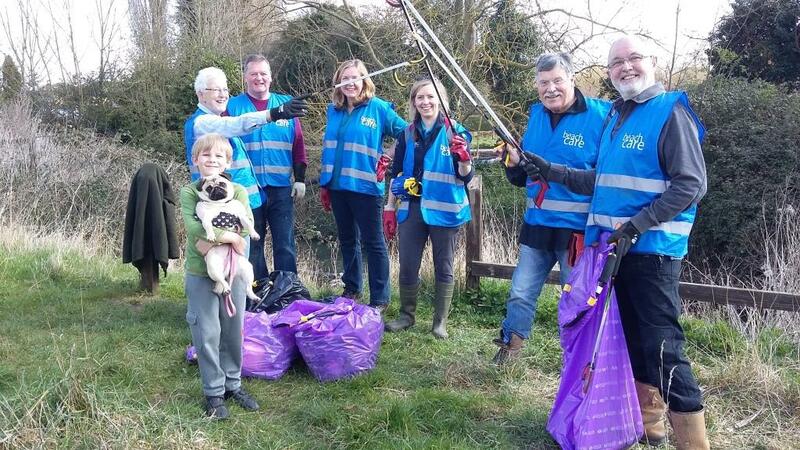 Huntingdonshire District Council supplied the litter bags and arranged to collect the rubbish and the session was led by Fiona. By the time the group had finished the riverside looked a lot more cared for and ready for the duck races on the following Sunday.